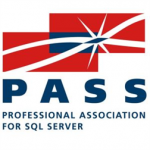 Next Wednesday I will be delivering a session for the SQL PASS Virtualization virtual chapter entitled “SQL Server High Availability Options After Virtualization“. The session should kick off at 10am Mountain time. Please register for the session here. It will be a blast! Abstract: We all are intimately familiar with SQL Server’s high availability options – clustering, mirroring, and more recently Availability Groups, just to name a few. But, when you virtualize your SQL Servers, some new technologies available at the VM-layer can be introduced to help maintain or improve your SLAs while simplifying your environment. In this session, we will introduce the high availability features that you can embrace to improve your system uptime. We will also discuss when your SLAs might demand a tighter downtime window than the VM-layer features can deliver, but will show how these features can complement a SQL Server-based high availability configuration to reduce the risk of extended downtime. VMware vSphere and Microsoft Hyper-V features and configuration examples will be discussed.